Product categories of Syringe Production Line, we are specialized manufacturers from China, Syringe Production Line, Plastic Syringe Making Machine suppliers/factory, wholesale high-quality products of Syringe Making Machine R & D and manufacturing, we have the perfect after-sales service and technical support. Look forward to your cooperation! This syringe production line is our main project. 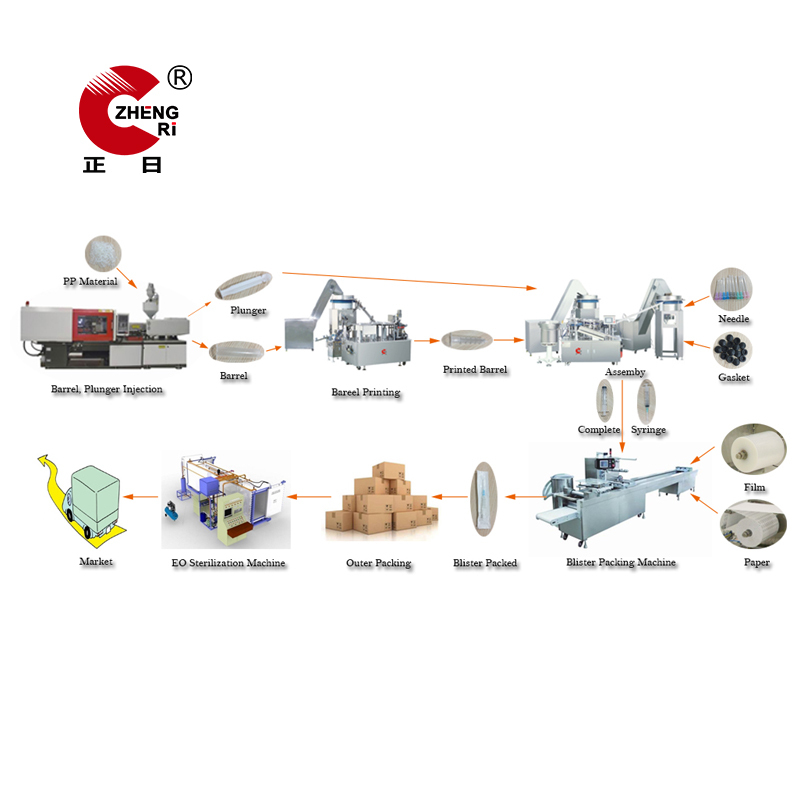 It includes various syringe production, like 2 parts syringe production line, 3 parts syringe production line, insulin syringe production line, safety syringe production line etc. Most of the syringe manufacturing machines are full automatic. So it will greatly reduce the labor cost. The production rate can reach 200 pcs/min. The necessary equipment for syringe production including: syringe molds, syringe barrel Printing Machine, Syringe Assembly Machine, Syringe Packing Machine and syringe EO Sterilization Machine. We not only providing the necessary Syringe Making Machines, but also providing the raw material, installation service, technique and operation training, the workshop layout design and cleaning workshop construction etc. If you`re interested, welcome to contact us at any time.